Located in Lincoln, Nebraska, The Bridge Behavioral Health is a substance abuse facility that offers outpatient, detox, and residential treatment to clients with chemical dependency issues. 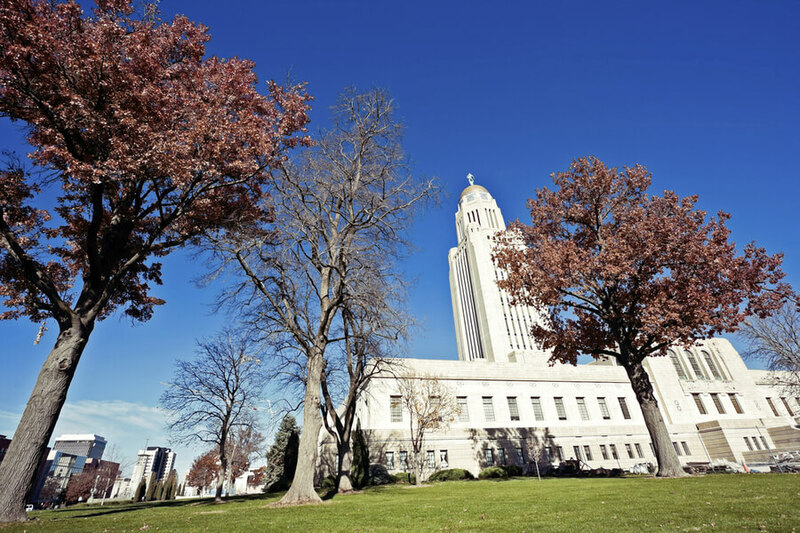 The facility was previously known as Cornhusker Place and utilizes evidence-based approach such as cognitive behavioral therapy and the 12-step approach. With over 30 years of experience in treating drug and alcohol dependency issues, The Bridge Behavioral Health is dedicated to helping clients attain long-term recovery. Clients of all ages can benefit from the treatment programs offered at the facility. The adult program admits clients, 19 years and older, and offers detox services to those in need of such care. Clients in the detox unit are medically monitored in a 12-bed facility that offers round-the-clock care for an average duration of five days. Licensed alcohol and drug counselors and registered nurses are available 24/7 to supervise patients. Only male clients over the age of 19 are admitted into the residential program and the duration of stay in this program is from one to ten months. Clients in this program are required to participate in both individual therapy, group therapy, and are given a schedule of daily activities to complete. At 8:30 am, group sessions begin and continue till late at night. During these sessions, topics such as coping skills, life skills, traumas, and triggers are addressed. Other meetings such as Narcotics Anonymous and Alcoholics Anonymous meetings are held on-site and clients can attend an off-site meeting, once a week. As clients progress in treatment, the intensity reduces and movement off campus is allowed. Although clients are allowed outside of the facility, they must have received a pass and might be accompanied by a counselor. Adult men and women can register into the outpatient treatment program, which consists of group counseling and one-on-one therapy. Clients in the outpatient program are allowed to live in their own homes while receiving treatment and must complete 10 hours of counseling weekly. Process groups meet for two hours, five nights a week, and individual therapy sessions are held if requested by the counselor or client. Gender-specific groups are available and the number of clients in attendance range from five to 12 clients per group. Topics addressed during these group sessions include addiction education, 12-step study, and relapse prevention. The treatment center houses clients in a 24-bed inpatient facility with outdoor brick décor. The top floor of the building was converted into dorm rooms to accommodate two to five clients in each bedroom. Each of these bedrooms comes fully equipped with a closet, cubby, and two large bedrooms on each floor. All clients registered at the facility are entitled to three meals a day. Breakfast is served on-site and might consist of milk, cereal, juice, donuts, and many more. Other meals are provided by chefs in the nearby Lancaster County Jail. Special dietary needs and restrictions are not accommodated, as there is little to no wiggle room since the meal is not prepared on-site. During visitation times, family and friends of clients are allowed to bring food and snacks during designated visiting days. The facility offers residential treatment to male clients, 19 years and older. This program typically lasts for 30 days to 10 months and individuals can benefit from this structured program. The treatment approach is strictly evidence-based and clients are able to address issues that led to their addiction. The Bridge Behavioral Health costs vary depending on the treatment program a client is registered into. The facility operates on a sliding scale basis making payment affordable to all who desire treatment. For a sliding scale mode of payment, the client’s household income determines the cost of treatment. For more clarity and information, clients are encouraged to contact The Bridge Behavioral Health. The facility is fully accredited by the CARF (Commission on Accreditation of Rehabilitation Facilities) and is funded by the Community Services Fund of Nebraska. The facility allows clients who are seeking treatment at the facility to remain for ten days till space opens up for them to join an actual program. These clients have full access to counselors during this waiting period. The treatment center transports clients at the facility in groups to the YMCA recreation center where they can exercise. Other recreational activities include trips to sporting events and to the movies. During summertime, the facility organizes a cookout during the weekends. The facility’s treatment approach is deeply rooted in 12-step and has been utilizing this approach for over 30 years now. The treatment offered to clients is affordable, comprehensive, and structured. With services offered and its versatility in treatment programs, the Bridge Behavioral Health is a good option for individuals seeking a no-frills treatment facility.